If you’ve waited for a new MacBook Pro refresh to ship, then the wait could get shorter if a pair of benchmarks and a rumor about thinner machines prove legitimate. 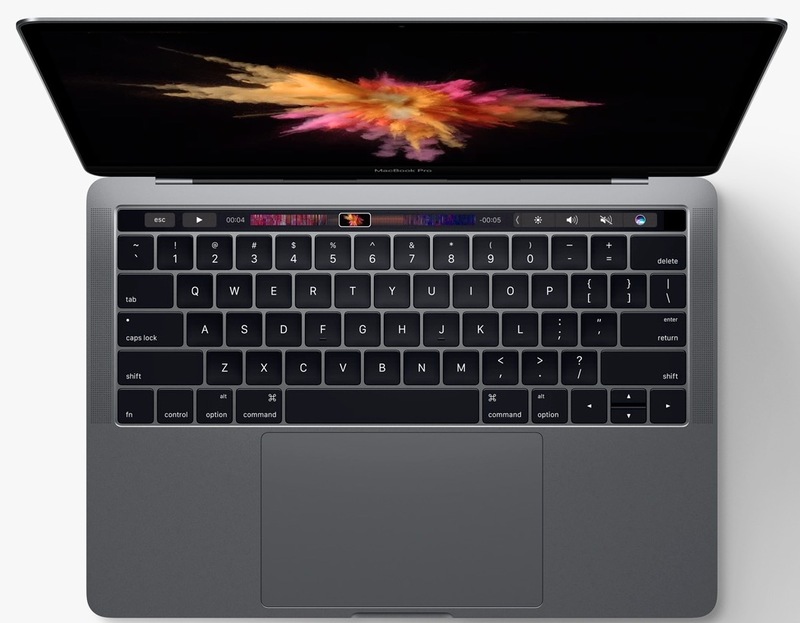 According to “trusted sources in Apple’s supply chain” the refreshed MacBook Pro models will include a thinner chassis and higher resolution displays, not to mention more powerful graphics and processors and USB 3.0. 9to5Mac reported that their sources told them Apple is testing the new 15″ machines and it will ship later this summer. That might explain a pair of benchmarks that showed up on Geekbench. 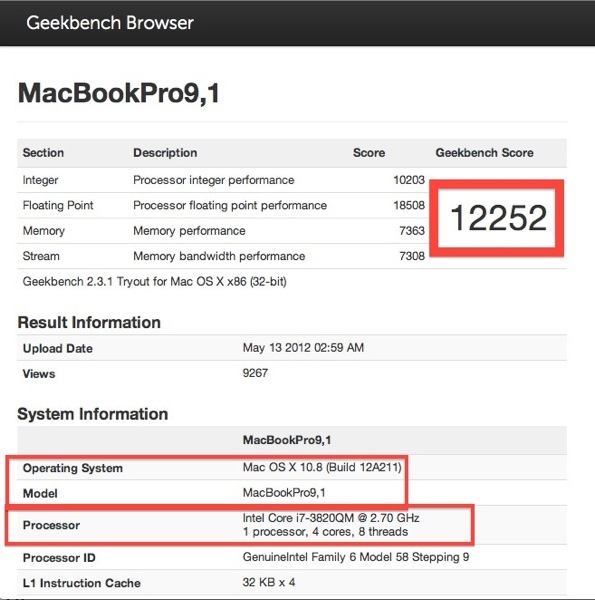 Geekbench provides benchmarking for Macs and shows those results online in their Geekbench Browser for all to see. 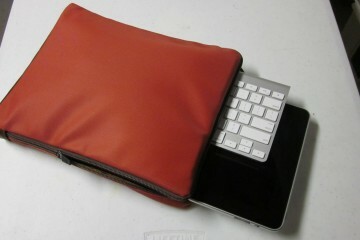 A pair of Macs showed up on the site with some awesome results. 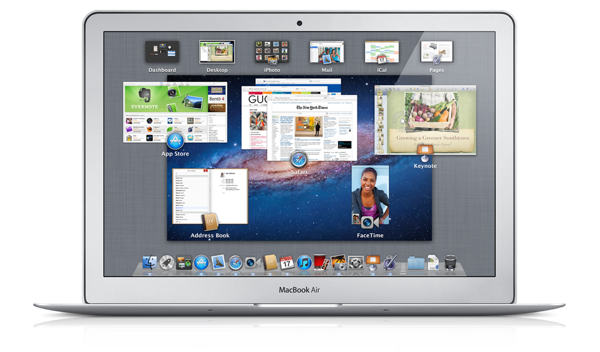 The first Mac identified itself as a “MacBookPro9,1”. The computer boasted an Ivy Bridge Core i7-3820QM processor with a 2.7GHz clock speed. 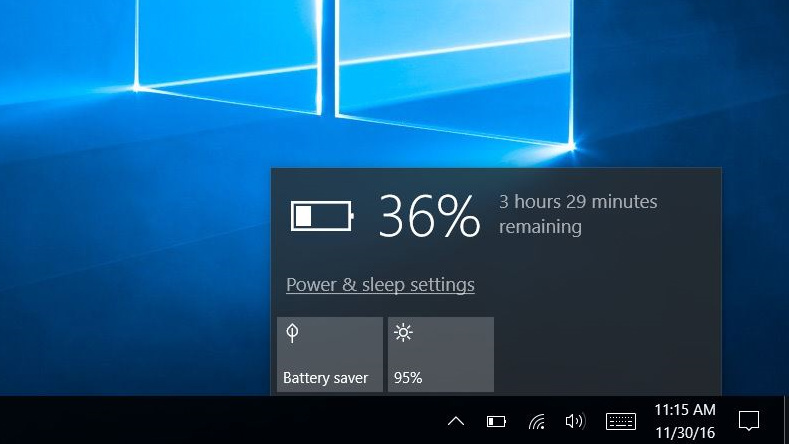 It grabbed a score of 12252 or 17 percent faster than the present 15 or 17 inch MacBook Pro running an Intel Core i7 processor. The second called itself an “iMac 13,2” and ran an Intel Core i7-3770 desktop CPU and included 3.4GHz clock speed. It included only 4GB of RAM which lowered its Geekbench score to 12183. The scores for the CPU alone grabbed a 9% gain over present generation desktops. As Engadget noted, these scores don’t necessarily show that someone tested a pair of new Macs. They could show fake scores or something else. 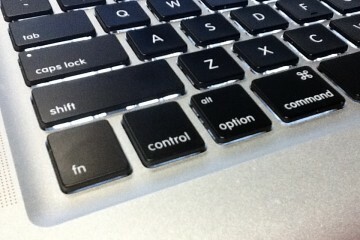 However, since we’re waiting on a refresh of the MacBook Pro line, this could indicate that one is immanent. Added to the evidence reported at 9to5Mac of new models referenced deep inside Mountain Lion code, we’ve got a good sign that Apple will refresh the MacBook Pro line soon. The code in Mountain Lion shows a new MacBook Pro with Ivy Bridge processors, USB 3.0 and an NVIDIA GeForce GT 650M graphics chip. Most recent rumors said the new MacBook Pro would look more like recent MacBook Air models. If the 9to5Mac “trusted sources” are right, it will look more like present MacBooks on a diet with the a new high res display, possibly matching the retina displays in the new iPad and iPhone 4/4S. Since the new Ivy Bridge chip includes USB 3.0 support, it won’t surprise too many if Apple includes it. When Thunderbolt first shipped, some of us thought Apple would forgo USB 3.0 and push for Thunderbolt. The slow adoption rate of Thunderbolt and inclusion in Ivy Bridge make adding USB 3.0 a no-brainer for Apple. 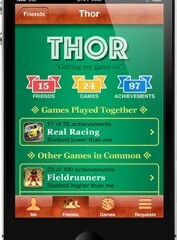 Hopefully we’ll know more about this at this year’s WWDC coming in early June. The amazing specs mentioned above might call for a keynote address including an announcement about the new MacBook Pro in lieu of an iPhone announcement, which seems likely to occur in the fall again this year instead of at WWDC as it was before last year’s change. Whenever the announcement comes we will learn whether they will refresh the 17 and 13 inch models. These reports only mention the 15-inch model. You do realize that the port layout does not make any sense when considering the Thunderbolt Display. There should be a Thunderbolt port on the same side as the MagSafe port. The made this mistake (or compromise) with the MacBook Airs. I doubt they will do it again.